Halibut Now Available at Rubio's - San Diego Dining Dish! For a limited time, San Diego's very own Rubio's is offering Alaskan halibut as an option for their tacos, burritos, and and bowls. 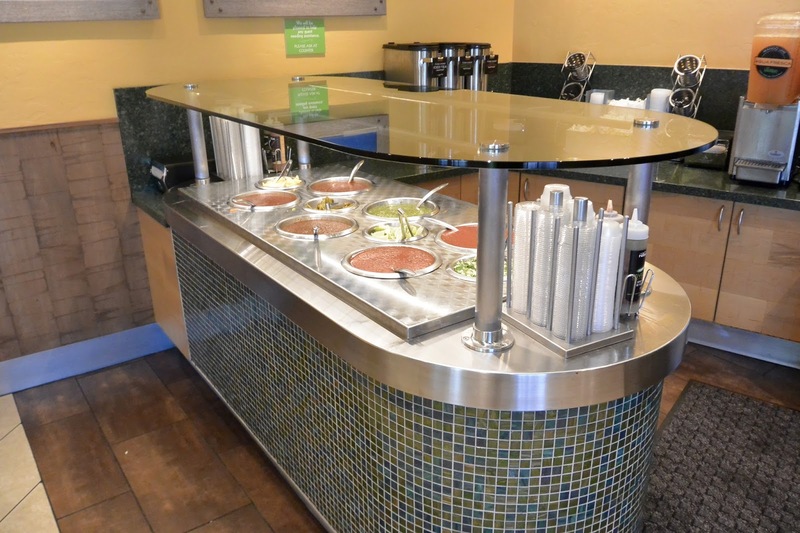 Like all of their seafood options, Rubio's sources only the most fresh and sustainable fish, pairing it with their famous salsas and homemade toppings. We visited the Mission Valley location on Sunday, determined to try out this new fish. 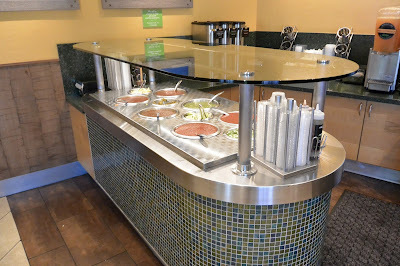 All of the seafood plates are tasty at Rubio's, and the salsa bar alone is worth a visit! The salsa verde is to die for! If you've never tried it, you are missing out! So tangy with lime and tomatillo, with a perfect amount of garlic and cilantro. Because I love seafood so much, we wanted to try it all! 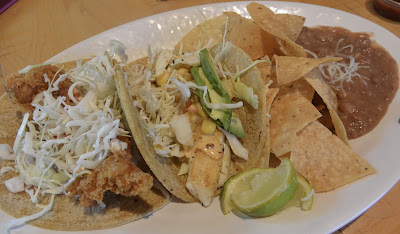 Tacos are my favorite, so we chose the two taco platter with shrimp, halibut, and the signature Rubio's fish taco. The two taco platter comes with chips and refried beans, making it very filling. The halibut was the focus of our visit, and was probably the most unique-flavored fish taco that I've ever eaten. I'm used to eating cod or mahi on fish tacos, but the halibut had a delicate flavor and a firm texture, set off by the corn and red pepper sauce. Throw on some cabbage and Hass avocados and it's simply amazing. The other selection was the shrimp two taco plate. I've had such a taste for seafood this summer, and this platter did not disappoint. 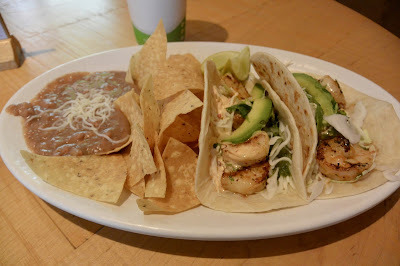 Perfectly cooked and seasoned with the delicious salsa verde, the shrimp tacos were perfection. The halibut taco is available for a limited time at all Rubio's locations.